And for the chilly weather soon to come… vodka-spiked tomato sauce? Yes! The final issue of Gourmet magazine, published back in 2009, contained a recipe for vodka-spiked cherry tomatoes. This is how it’s done: take the last of the season’s cherry tomatoes, blanch and peel and toss them in a mixture of vodka, vinegar, sugar, and lemon zest, let them soak for an hour, drain, and you have a clever cocktail hour appetizer. 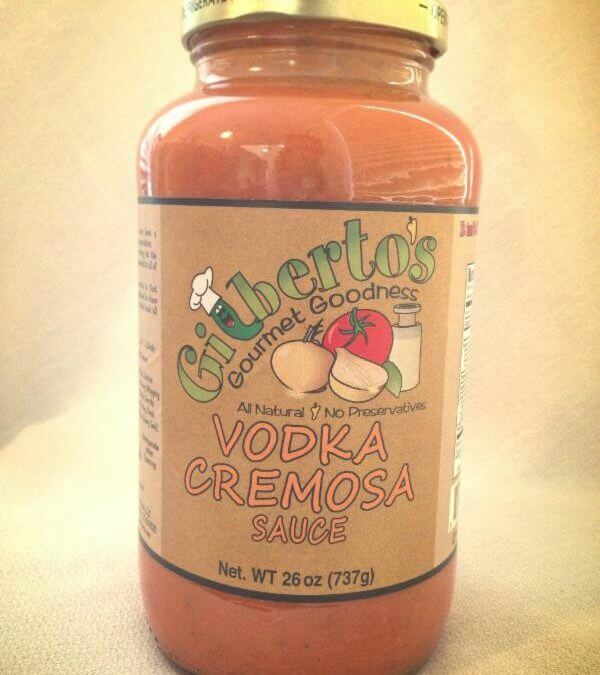 But there’s a hidden gem at Ranch Foods Direct that makes the notion of vodka-spiked tomatoes even easier… Vodka Cremosa Marinara Sauce from Gilberto’s Gourmet Goodness! It’s made in Ft. Collins – from Colorado-grown tomatoes – and lends itself perfectly to a whole host of convenient meals. Quick Ratatouille: Saute chopped bell peppers, zucchini, onion, eggplant and garlic in olive oil. Add 2 parts sauce to 1 part water and some fresh basil; simmer mixture until vegetables are tender. Sloppy Joes: Brown bulk Italian sausage with chopped onions and bell peppers; stir in sauce and heat the mixture; spoon onto rolls. BBQ Brisket: Brown 4 pounds brisket in oil with chopped onions, garlic and red pepper flakes. Add 1 jar of sauce, a jar of water, 1/4 cup cider vinegar and 1/4 cup brown sugar; cover and simmer dish for 3 hours. Enjoy the wide selection of Colorado Proud products in store everyday at Ranch Foods Direct.